To apply for the Emergency Medical Responder (EMR) Program through the Western Institute of Emergency Education (WIEE) you must complete the PDF application form. Click the application link below. This will take you to an external site. If you do not have an Alberta Student ID #, you can create it one at this time. Once this is complete, and we have reviewed your application you will be notified if you have been accepted. In order to be reviewed as a mature student, please contact our office and speak to Shane regarding this process. Contact our office to speak to us regarding your Mature Student application for review. 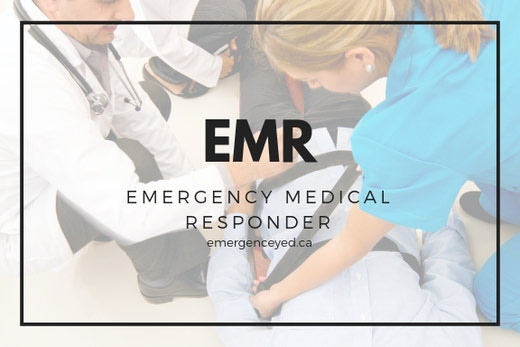 If you have any questions or inquiries email us at EMR@emergencyed.ca or call us at 780-643-6163 and select Registrations. The price listed is for the application fee only. This Fee is non refundable. Once your accepted, you will be contacted to discuss payment options.